In 1972 Father Claudio Piccinini a Catholic Passionist Priest founded an association of Roman Catholic families called The United Society (Società Unita), desiring to help the family and its members to search for a deeper spiritual relationship with God. While at the beginning the members were made up of Catholic families, the association is open to everyone who desires to help each other to seek peace, love and unity in their lives and relationships. The association follows the teaching of the gospel of our Lord Jesus Christ and the teaching of the Roman Catholic Church. Teopoli – the City of God, is a place of prayer, meditation and contemplation, renewing people’s faith and encouraging peace and love. May 8, 1977, following the inspiration of the late Sister Carmelina Tarantino of the Cross, a Passionist Sister of Saint Paul of the Cross, a group of members from the United Society erected one of the most prominent attractions at Teopoli, a large wooden cross. From that day Teopoli has become a place of pilgrimage for people living all across Canada and the United States. In recognition and in response to Sister Carmelina’s life’s work in the community, the members of the association have expressed their gratitude by immortalizing her through a white Carrara marble monument of Sister Carmelina lying in her hospital bed. The United Society invites you to partake in various programs offered by the association within Toronto and Teopoli, in Gravenhurst. In Toronto we run a program called the Good Samaritan that is meant to help needy people especially in the mission lands and conduct various fundraising activities to support the various programs at Teopoli. 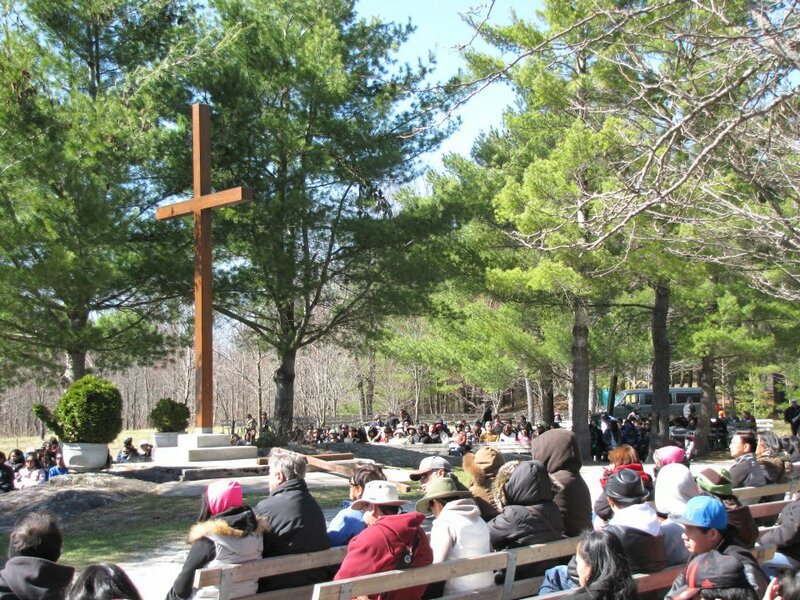 In Teopoli, one may partake in organized spiritual Pilgrimages (offered in English, Italian and other languages) and during these Pilgrimages the Eucharist is celebrated in front of the wooden cross by the waterfall (weather permitting); participate in spiritual weekend retreats; walk the Way of Jesus, reflecting on key moments in the life of Jesus or just pause in the middle of the beautiful Muskoka woods to invoke a private conversation with God. Other programs you are invited to participate in at Teopoli are the TSE (The Summer Experience), a week long program for youth and children which includes a variety of outdoor activities; Ora et Labora, where a group of people come together to work and pray. 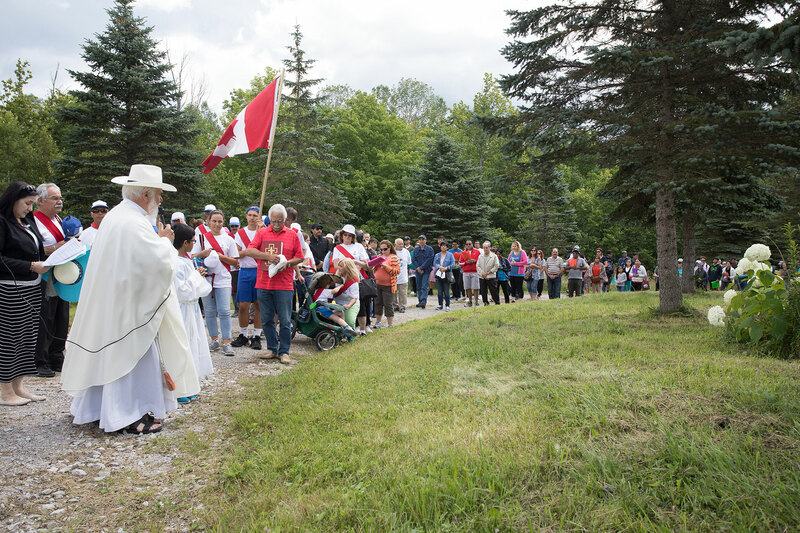 If you are up for the challenge, join us for the Pilgrimage of Love, a 200km spiritual journey from Toronto to Teopoli in Gravenhurst! Sister Carmelina helped thousands of people by making herself available to listen to them and pray for them, even though she was hospitalized and afflicted with illness for most of her life. The presence of the Jesus the Listener Crucifix in the home reminds us of the presence of God in our lives through the Passion and Death of his only begotten Son Jesus Christ. The cross is a symbol of our creation and redemption, the culmination of prayer and the sign of love that saves the world. Father Claudio Piccinini, C. P. is a Passionist Missionary Priest born in Ascoli Piceno, Italy in 1941.